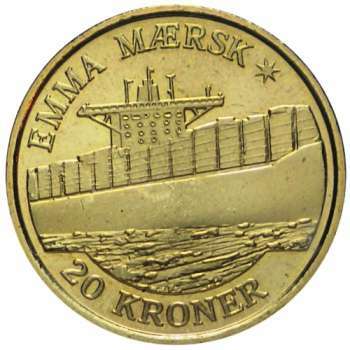 Issued on 18 March 2011, this is the 9-th coin in the thematic series featuring ships as its common theme, and is dedicated to the container ship, Emma Mærsk. 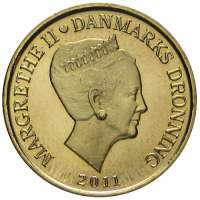 When it was launched in 2006, Emma Mærsk was the largest and longest container vessel ever built, propelled by the largest diesel engine ever manufactured. It maintains a regular service between the Far East and Europe through the Suez Canal.